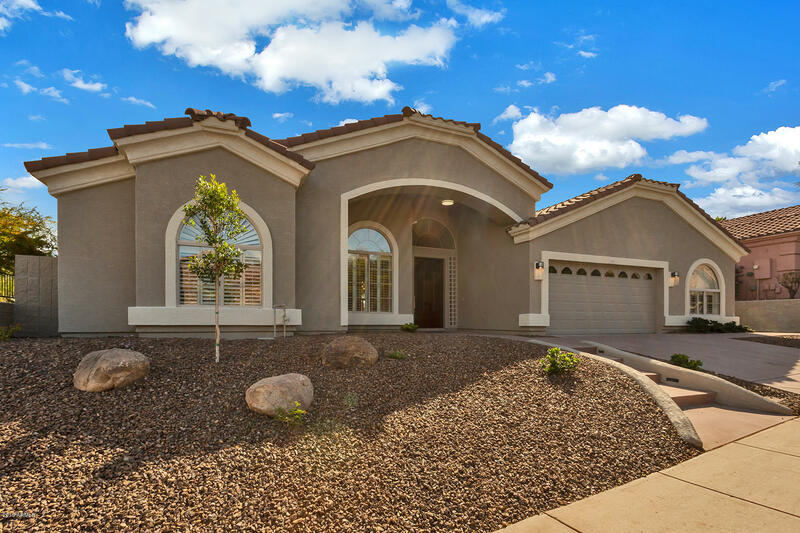 All LOOKOUT MOUNTAINSIDE homes currently listed for sale in Phoenix as of 04/23/2019 are shown below. You can change the search criteria at any time by pressing the 'Change Search' button below. "PRICE REDUCED!! Voted Best Home on Tour! This beautiful REMODEL Modern Farmhouse style home located in a Gated Community features 5 bedrooms/2.5 baths, Formal Living & Dining Rooms, Open Kitchen & Family Room. Fifth bedroom may also be used as a den, office or playroom. Upgrades include new carpet, tile, fresh paint inside & out, marble countertops, backsplash, white shaker soft-close cabinet & drawers, large island, farmhouse sink, stainless steal appliances, walk-in pantry, built-in wine bar, "